Whether it is spring, summer, fall, or winter, there is always a different seasonal aesthetic that you can use to inform how you decorate your garage door. Although seasonal decorations aren’t exactly permanent amenities to boost the look of your door, it is a way to keep the outside of your house looking relevant and with the times. When it comes to holidays, you can take this idea even further, opting to add wintry lights during Christmas-time, or decorating with cobwebs during the Halloween season. 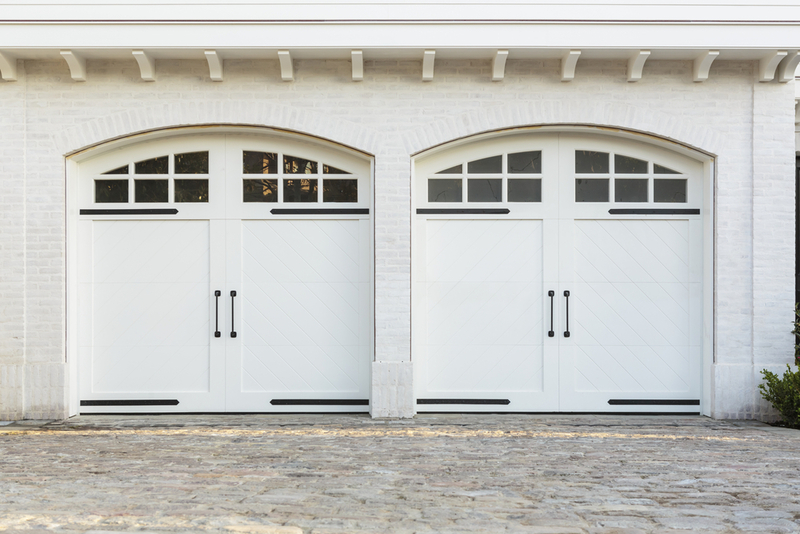 One incredibly popular look for garage doors, nowadays, is to make it have more of a classic barnhouse feel. This might sound complicated to accomplish, but it’s actually fairly simply. At most craft stores, you can find packages of vinyl or plastic trim and accessories (such as handles). These can be attached to your garage with adhesive to make your door feel more elegant. Windows are one of the simplest ways to add value to your garage door, and your entire garage. A garage is more enjoyable to spend time in when there is natural light that gets in. For this reason, it’s a huge boost to the appeal of your garage door to install windows. Some people might turn away from this option, though, due to the perceived high cost. While glass windows will definitely be expensive, there are cheap options, such as vinyl or plexiglass windows.